Following the 2018 NCRA Annual Business Meeting, members voted to change the procedures for holding elections of members to the Board of Directors. Those changes will go into effect with the 2019 election process. Overall, the changes will affect the timing of elections and when candidates are elevated to office. Since elections will continue through electronic means, please watch for email notices from NCRA in June and July. Members will now be able to vote for a time period of 24 hours instead of only for 12 hours. Voting will occur at least 30 days before the Annual Business Meeting. 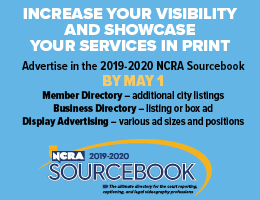 (Although the timing of the 2019 Annual Business Meeting has not yet been set, the expected dates for the 2019 NCRA Convention & Expo are Aug. 15-18.) See timeline below. 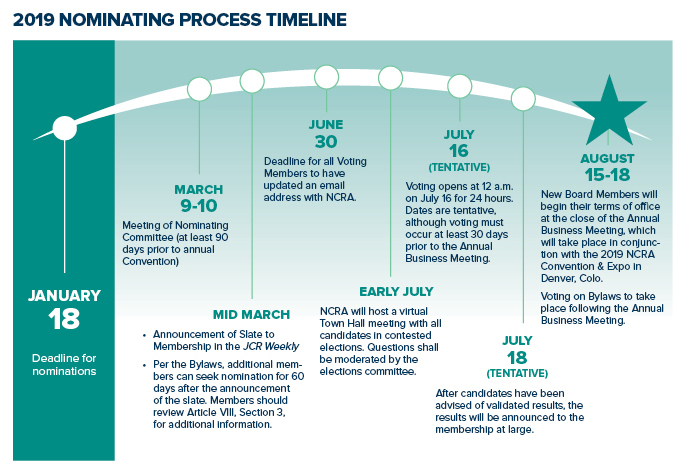 Voting on changes to the NCRA Constitution & Bylaws will not take place at the same time as the elections of members to the Board of Directors. Bylaws will continue to be voted on after the Annual Business Meeting, and members will be able to vote on Bylaws amendments for 24 hours. In addition, if there are more candidates than the number of open seats for Director, candidates will no longer need to specify that they are opposing a specific candidate for a Director’s seat. This will also allow as many candidates who want to run for a seat to do so. Candidates will be elected to the Director seats by plurality of the votes; that is, the Directors’ seats will be filled by the candidates receiving the most votes in descending order. For example, if there were two openings for Directors and five nominees on the ballot, the two candidates who receive the most votes would fill the two available positions. This change to six Directors is expected to be completed in three years. Members interested in nominating a colleague or hoping to serve on the Board may wish to attend a webinar on January 9, 2019, 8 p.m. ET. Contact Laura Butler at boardnominations@ncra.org to learn more about the webinar. Read more information on nominations. Other amendments that were put into effect following the 2018 Annual Business Meeting do not affect the election procedure. NCRA’s Constitution & Bylaws permit members to cast their votes in contested elections and on bylaws amendments via secure, online means, even if they can’t attend the Annual Business Meeting at the Convention & Expo. But to exercise the right, members must have an active email address on file in NCRA’s membership database. This will enable NCRA to keep you informed if a contested election or amendment is coming up for a vote and provide information on how to register and cast your vote online. Members who are eligible to vote will be able to sign on to the secure website and then vote through a private, secure link during the 12-hour voting period. Log in with your Member ID number and password. If you forgot your password, click on the “Forgot/Reset Password” link to follow the instruction prompts. Make any necessary changes to your email address. Click “Save” at the bottom of the screen to save your updates. In order to be able to vote on the amendments, individuals must join NCRA or provide an updated email to NCRA by July 15. Voting will occur in conjunction with the NCRA Annual Business Meeting in Las Vegas on Thursday, Aug. 10. Members may cast their votes regarding Bylaws amendments and on any two-party elections to the Board of Directors via their phones, tablets, or computers. Voting will begin within two hours after the close of the Annual Business Meeting, which will be held on Thursday, Aug. 10, from 8:30–11 a.m. PT. Voting is open for 12 hours. The 60-day period during which additional nominations may be submitted for the Board of Directors has begun. Additional nominations must be received by 5 p.m. ET on May 9. Only voting members in good standing, i.e. those voting members who are current in their NCRA dues obligations, are eligible to sign a petition (Article VIII, Section 8c). All signatures will be verified by NCRA. If a petition is received at the deadline and it is determined that there are less than 100 signatures of voting members in good standing, the petition will be disregarded. If you wish to have signatures verified prior to the deadline, NCRA must receive the petition and signatures by May 2. If you have further questions, please contact Laura Butler at lbutler@ncra.org. NCRA members voted on seven amendments to the association’s Constitution & Bylaws during the organization’s Annual Business Meeting at the 2015 Convention & Expo being held in New York July 30-Aug. 2. Online voting opened after the Annual Business Meeting adjourned and was open for 12 hours. Overall, 612 members cast votes. To pass, bylaws amendments must receive at least two-thirds (2/3) affirmation by the Voting Members who are voting by electronic mail or other authorized means of electronic transmission. All seven amendments passed with the exception of Proposal 2 and 3 for Amendment #2, which covered voting rights for CLVS Associate Members. The full text of the amendments is available here. Amendment #1: Due to the changes in the CBC/CCP certification programs, Article III, Section 4, of the Constitution and Bylaws requires amending the section to ensure that Certified Realtime Captioners be considered Registered Members. In addition, the phrase, “or who was a Professional Member in good standing on July 21, 1993” is no longer needed in the bylaws. Amendment #2: Proposal 1) is to add the formal name of the CLVS certification. Regarding 2) and 3), the Board of Directors charged the Constitution and Bylaws Committee with exploring the possibility of allowing voting rights by Certified Legal Video Specialists who are NCRA members, without changing the Associate Member category. Proposal 4), Section 9, subsection d), is a revision of current Article III, Section 10, subsection b), which more appropriately belongs in Section 9. Since Proposal 2 and 3 are conforming amendments and cannot stand without the other, the amendments were voted on together as one amendment. Amendment #3: This section is being amended to clarify and define present procedures as it relates to the directory. The current directory contains a listing of nonmember Certified Legal Video Specialists, who are not reporters, and other information. The current subsection on the use of appellations does not belong in this section and has been changed and moved to Article III, Section 9. The Board previously voted to no longer list state and USCRA certifications because there is not a way to verify such certifications. Amendment #4: This is a housekeeping matter and is proposed for the purpose of clarity. Since subsection a) already states that the dues shall be recommended by the Board of Directors, it’s confusing to also state that the dues will be set by the Board of Directors. Amendment #5: This amendment is being proposed to clarify that voting takes place online. Amendment #6: To be consistent throughout the bylaws, it is recommended that the specific date by which an action must take place be removed and replaced with a set number of days prior to the annual convention. Currently, material on all candidates is available upon request by the Board. The proposed revision removes having the Board receive the information on all candidates considered. The DSA Committee only submits one name to the Board which the Board may accept or reject. Amendment #7: The committee believes that it would make sense to have all members of NCRA committees, councils and task forces, and not just the chairs, become familiar with these laws and requirements of the Association before they begin their committee work. In addition, Voting Members present at the Annual Business Meeting voted to increase dues, which will go into effect in 2016. NCRA members will have the opportunity to vote on seven amendments to the Constitution & Bylaws during the Annual Business Meeting on July 30. The amendments are available through NCRA’s website at NCRA.org/c&b/2015amendments. The amendments range from allowing people who are Certified Realtime Captioners to be Registered Members to asking all committee members to review the laws and requirements of NCRA before undertaking committee work. In addition, an amendment will consider the possibility of granting voting rights to Certified Legal Video Specialists who are NCRA members. The Constitution & Bylaws permits all eligible NCRA voting members to vote through electronic means on Bylaws amendments and contested Board of Directors elections. Members who are eligible to vote and not in attendance will be able to sign on to the secure website and vote through a private, secure link during the 12-hour voting period, which should open within two hours of the end of the Annual Business Meeting. Members who are interested in voting (link to article on theJCR.com) must have an active email address on file in NCRA’s membership database. Members attending the Annual Business Meeting will also be voting on a proposed dues increase. The Annual Business Meeting will take place at 8:30 a.m. EST on Thursday, July 30. The Annual Business Meeting will be held in conjunction with NCRA’s Convention & Expo in New York, N.Y.
During the NCRA Annual Business meeting on Thursday, July 31, outgoing NCRA President Nancy Varallo announced a new initiative for promoting the profession, Students First. In addition, members had the chance to discuss the three proposed Constitution and Bylaws amendments that were put forward for voting. The bylaws amendments offered a clarification to the process of committee appointments; a clarification on who may be nominated as a Fellow for the Academy of Court Reporting; and permitted an increase in the number of people to serve on the committee on Professional Ethics. Based on the discussion of the members at the Annual Business Meeting, the second amendment, concerning the change to the nomination criteria for Fellows, was postponed indefinitely. Online voting opened after the Annual Business Meeting adjourned and was open for 12 hours. 381 Members cast votes. To pass, bylaws amendments must receive at least two-thirds (2/3) affirmation by the Voting Members who are voting by electronic mail or other authorized means of electronic transmission. Article VI – Officers, Section 6, President-Elect and Vice President: 359 for; 22 against (94.2%). Article XII – Structure, Section 2 – Committees, Councils and Task Forces, subsection b) Committee on Professional Ethics: 358 for; 23 against (94.0%). In addition, during the Annual Business Meeting, attendees voted on an amendment to NCRA’s Certificate of Incorporation. A change in the language was needed in order to comply with recent changes to the District of Columbia nonprofit corporation law. On Thursday, July 31, all eligible voting NCRA members will have the ability to vote online for three Constitution & Bylaws amendments. The online vote will start within two hours of the end of the Annual Business Meeting and will be open for 12 hours. The Annual Business Meeting will begin at 8:30 a.m. PDT. When voting begins, an email will be sent to all eligible voting members for whom NCRA has a valid address. Members will be sent a link to a secure voting website. The email gives detailed instructions on how to log in to the system to cast a vote. Members who are attending the Convention, please note that this year, there will not be voting stations. Members can vote on their phones, their tablets, or their computers. Free WiFi is available in the meeting room areas or in the business center in the hotel. Article I: Name. The name of the organization? Article I: The name of this organization shall be National Court Reporters Association (the “Association”). Article II: Purposes. There are 13 purposes of this Association. Can you name at least one? Article II: Definition: in the context of this document, stenographic verbatim reporting refers to that reporting technology by the use of symbols, manually or by stenographic machine. 1. To assume responsibility for leadership and enlightenment of verbatim stenographic reporters and of the public regarding the special competency, importance, and value of verbatim stenographic reporters, and to promote verbatim stenographic reporting technologies by the use of symbols, manually or by stenographic machine, over alternative reporting methods. 2. To promote a broader understanding and acceptance of the verbatim stenographic reporter as an integral part of the judicial process. 3. To apply the knowledge and experience of verbatim stenographic reporters, working in cooperation with the bench and bar, toward the upgrading and improvement of the criminal and civil justice system, in order that the public good may best be served, and to promote a broader understanding within the profession of the responsibility of a verbatim stenographic reporter to participate actively in the achievement of this objective. 4. To encourage, establish, and maintain high standards of professional education, competence, and performance of verbatim stenographic reporters. 5. To conduct and promote lawful and proper technical and business research to enhance the services of verbatim stenographic reporters. 6. To promote lawful and proper professional ethics, as well as compliance with all applicable laws, including antitrust laws, for verbatim stenographic reporters. 7. To stimulate and encourage the establishment and maintenance of appropriate training and educational facilities and programs for persons interested in the profession of verbatim stenographic reporting, and to promote verbatim stenographic reporting as a successful career. 8. To cooperate with federal, state, and local governments, their agencies, and other organized groups for the benefit of the public and the verbatim stenographic reporting profession. 9. To conduct educational seminars and conferences relating to verbatim stenographic reporting. 10. To further the exchange of professional knowledge and to disseminate, by all appropriate means, to the extent permitted by law, accurate knowledge and information with respect to the verbatim stenographic reporting profession. 11. To advance the interests and general welfare of the verbatim stenographic reporting profession. 12. To promote and encourage development of realtime reporting skills and ethics to provide communication access pursuant to the Americans with Disabilities Act. 13. To do any and all things that are lawful and appropriate in the furtherance of these purposes. Article III: Membership. This Article describes the various classes of membership and privileges of membership. Can you name the six classes of membership? Article IV: Dues. Who approves the membership dues? the dues of Participating or Registered Members. The annual dues of Student Members shall not exceed fi fty percent (50%) of the dues of Participating or Registered Members. b) The annual dues for Participating, Registered, Student, and Associate Members are due and payable by January 1 of each year. Article V: Board of Directors. This Article describes the composition and eligibility of the Board, the duration of office, voting, vacancies, and removal. Can a director who has served a full 3-year term be eligible for reelection? If so, when? a) The nine (9) members elected as Directors shall serve for a term of three (3) years or until their successors have been elected. The term of the Directors shall begin at the close of the annual convention at which they were elected. b) The nine (9) Directors shall be divided into three (3) classes of three (3) Directors each, determined by the expiration of their terms of offi ce, one (1) class of Directors to be elected each year. c) No Director who has served a full three-year term shall be eligible for reelection as a Director until at least one (1) year shall have elapsed. d) A member of the Board of Directors may resign upon presenting a written resignation to the President, and the resignation shall become effective upon acceptance by the Board of Directors. Article VI: Officers. This Article describes the titles of the offi cers, election, qualifications, term(s) of office, and removal. Who are the current officers of the Association and what elected position do they hold? Which officer may serve more than one full term? The Officers of the Association shall be a President, a President-Elect, a Vice President, a Secretary-Treasurer, the Immediate Past President, and an Assistant Secretary-Treasurer (as defined in Section 8 herein). The Officers (except the President, the Immediate Past President, and the Assistant Secretary-Treasurer) shall be elected each year by the Voting Members. The term of each elected Offi cer shall begin at the close of the annual convention at which the Officer was elected and the Officer shall serve until the Officer’s successor is elected. No elected Officer shall serve for more than one full term in the same office except the Secretary-Treasurer, who may serve for no more than three (3) consecutive terms. The President-Elect shall automatically succeed to the office of President at the completion of the President’s term of office. The Assistant Secretary-Treasurer (who shall be the Executive Director of the Association) shall act in the absence of the Secretary-Treasurer, and shall perform such duties as may be assigned by the Secretary-Treasurer, or the President, or the Board of Directors. Article VII: Executive Committee. What authority is specifically taken away from the Executive Committee? Article VIII: Nomination and Election of Officers and Directors. 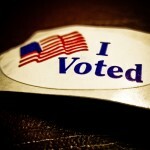 How does a candidate get on the ballot? The Nominating Committee shall meet at least ninety (90) days prior to the next annual convention of the Association and shall nominate one or more nominees for offices to be filled and report the committee’s nominations to the President and the Executive Director. prior to the annual convention. immediately prior to the annual business meeting. Members of the Nominating Committee may participate in any meeting by conference call or mail and such participation shall constitute presence in person at such meeting. considered by the Nominating Committee shall be required to complete the same application materials required of candidates who were considered by the Nominating Committee. Committee and by written petition of the Voting Members. The ballot shall be posted in the registration area at the annual convention meeting site. e) No individual shall be a candidate for more than one (1) office. Officer shall entertain nominations for that office from the floor, and theVoting Members shall elect a candidate to fill said vacancy. Article IX: Meeting and Voting. Who has a right to vote at the Annual Business Meeting? a) Only Voting Members as defined in Article III shall have the right to vote. b) Voting by proxy shall not be permitted. c) All voting shall be conducted at the annual business meeting except that voting for contested elections (as provided in Article VIII, Section 4) and amendments to the Constitution and Bylaws (as provided in Article XVIII, Section 2) shall also include voting by electronic mail or other means of electronic transmission as shall be authorized and determined by the Board of Directors. d) Members voting by electronic mail and other authorized means of electronic transmission for contested elections and amendments to the Constitution and Bylaws will have 12 hours to vote once the online polling process opens. Article X: Academy of Professional Reporters and Council of Academy of Professional Reporters. A candidate for Fellow includes performance in at least three areas. What are some of those areas of performance? dealing with verbatim stenographic reporting, professional, or related subjects. on boards or committees of any association of verbatim stenographic reporters. enhance or promote the verbatim stenographic reporting profession. Reporter or Speed or Realtime Contest Certificate. Article XI: Council on Approved Student Education. What is the responsibility of the CASE? There shall be a Council on Approved Student Education (“CASE”), which shall consist of at least five (5) members, including at least two (2) Registered Reporters, and at least three (3) reporting educators from NCRA-approved programs representing both public and private institutions. CASE shall be responsible for the approval and development of court reporter student training and education programs. The members of CASE shall be appointed by the President, with the approval of the Board of Directors, to serve three-year staggered terms. Article XII: Structure. What committee is responsible for enforcing the Code of Professional Ethics? a) With the approval of the Board of Directors, the President may create and shall appoint members and chairs of such committees, councils and task forces as necessary, who shall serve for a term of one (1) year, unless otherwise specified. Code of Professional Ethics in accordance with the provisions of the Constitution and Bylaws. The Committee shall function in accordance with operating rules and procedures that are subject to approval by the Board of Directors. Bylaws for amending the Constitution and Bylaws, reviewing the Constitution and Bylaws from time to time, and making recommendations to the Board of Directors and the Membership. d) Distinguished Service Award Committee: This committee shall consist of five (5) members, who may be past recipients of the Distinguished Service Award. Award, together with all available information about the candidates, and with their recommendation for selection. The Board may accept or reject each or all of the committee’s candidates or recommendations. The Board may not independently select its own recipient for this award. Article XIII: Executive Staff. Who selects the Executive Director as employed by the Association? There shall be an Executive Director who shall be selected by the Board of Directors and employed by the Association. Article XIV: Fiscal and Legal Procedures. How often are the financial records of the Association audited? Section 15: The Board of Directors may appoint legal counsel to act as general counsel and to advise in the legal affairs of the Association. Section 16: The Board of Directors shall appoint an independent certified public accountant to audit the financial records of the Association and submit an annual audit report. Article XV: Indemnification and Insurance. Who may authorize the purchase of insurance on behalf of directors, officers, employees, and volunteers? The Board of Directors may authorize the purchase of insurance on the behalf of any of its Directors, Offi cers, employees, and volunteers, against any liability asserted against or incurred by any such person which arises out of such person’s status as a Director, Officer, employee, or volunteer or out of acts taken in such capacity, whether or not the Association would have the power to indemnify and hold harmless such Director, Offi cer, employee, or volunteer against that liability under law. Such indemnification shall be limited to the proceeds of any such insurance policy that may be purchased and an additional Association funds that may be available for such purposes. Article XVI: Affiliated Units. What is NCSA? b) A “state” shall be defined as a state or territory of the United States or foreign nation which is approved for membership in the National Committee of State Associations (“NCSA”) by the Board of Directors. c) Only one affiliated unit may be recognized from any one state, with the exception of states wherein the number of NCRA members exceeds ten percent (10%) of total NCRA membership. one affi liated unit as a delegate, each of whom shall be appointed by such person’s respective affi liated unit. Each affi liated unit shall have no more than two (2) votes. In addition, delegates-at-large, with a voice but no vote, may be appointed by the President to serve on NCSA, representing states that are not affiliated. The President shall appoint a chair and vice chair to conduct the business of NCSA. The Board of Directors shall establish policies and procedures for the conduct and operation of NCSA. Article XVII: Distribution of Assets. The funds of the Association are used only to accomplish what? The Association shall use its funds only to accomplish the purposes specified in the Constitution and Bylaws, and no part of such funds shall inure or be distributed to the Members. On dissolution of the Association, any funds remaining shall be distributed to one or more recognized charitable, educational, scientific, or philanthropic organizations to be selected by the Board of Directors. Article XVIII: Amendments. Who may propose an amendment to the Constitution and Bylaws? The Board of Directors, the Constitution and Bylaws Committee or any three (3) Voting Members may propose an amendment to this Constitution and Bylaws. Such amendment shall be submitted to the Executive Director and to the Constitution and Bylaws Committee, as set forth in Section 2 of this Article. This Constitution and Bylaws may be amended by a two-thirds (2/3) vote of the Voting Members who are present and voting at the annual business meeting as well as the Voting Members who are voting by electronic mail or other authorized means of electronic transmission. Notice of such amendment with the text thereof must be fi led with the Executive Director and the Constitution and Bylaws Committee not less than ninety (90) days before the date of the annual business meeting at which the said proposed amendment is to be considered. Article XIX: Miscellaneous. Can a committee advise in the setting of rates or charges for the profession? a) The Board of Directors shall be the fi nal authority on the interpretation of the Constitution and Bylaws. b) Nothing in any article of this Constitution and Bylaws, or in any provision of the Code of Professional Ethics, shall be construed to require or permit the Association or any of its committees, councils or task forces to participate or advise in any way, formal or informal, in the setting of rates or charges for the profession, except for rates established by statute, rule, or order of court. Two additional amendments, one to NCRA’s Constitution & Bylaws and another to the Certificate of Incorporation, will be voted on by members during the Annual Business Meeting on July 31, 2014. Members who are interested in voting must have an active email address on file in NCRA’s membership database. Please note that members can vote on the Bylaws amendments online but must be present at the Annual Business Meeting to vote on the amendment to the Certificate of Incorporation. The additional bylaws amendment would change the size of the Committee on Professional Ethics, a standing committee for the association. The change would be from five committee members, with at least three committee members who are registered members of the Association, to seven members, with four of those to be registered members. This is the third Bylaws amendment; prior to this announcement, the Constitution & Bylaws Committee proposed two amendments to be voted on during the 2014 Annual Business Meeting. The other amendment would update some terminology in NCRA’s Certificate of Incorporation, which are referenced in the Association’s Constitution & Bylaws, to comply with changes to the District of Columbia nonprofit corporation law. Members who wish to vote on this amendment must be present at the Annual Business Meeting. 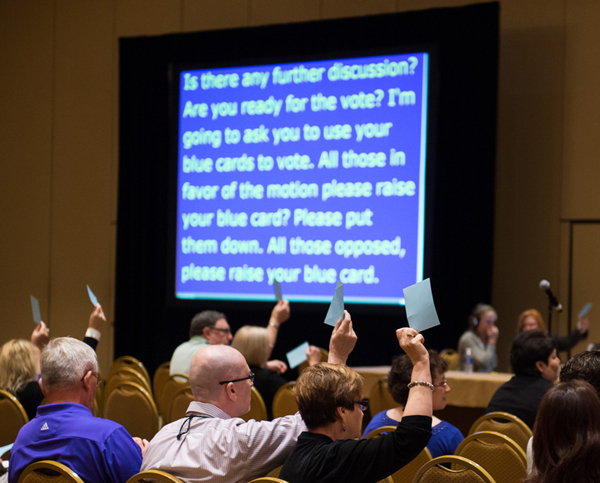 NASHVILLE, Tenn. – NCRA members voted on six amendments to the association’s Constitution and Bylaws during the organization’s 2013 Annual Business Meeting at the 2013 Convention & Expo being held in Nashville this week. The amendments, along with corresponding rationale, were communicated to members in the JCR and on the NCRA website in accordance with established protocol. The vote took place electronically with all NCRA voting members for whom NCRA has working email addresses invited to participate during a 12-hour period immediately following the conclusion of the business meeting. Overall, 284 registered members took part in the online vote, passing each of the amendments by substantial margins. The elimination of the President’s Advisory Council as an official NCRA standing committee, even though it is the board’s intention to draw on the background and expertise of past presidents when such counsel is needed. A more detailed report of the board’s actions will appear in an upcoming issue of the JCR and on theJCR.com.